Relatively low unemployment rates are a blessing and a challenge. 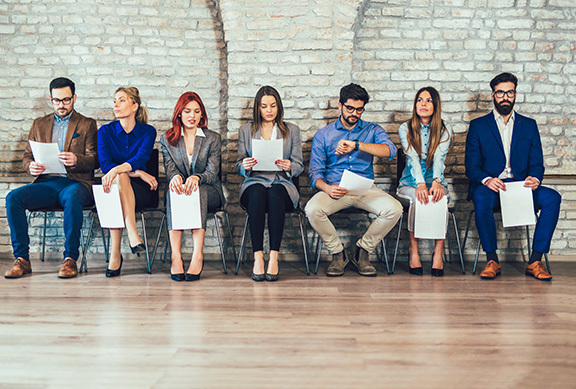 For Connecticut employers, low unemployment rates make it increasingly difficult to find suitable candidates to fill critical positions. Sometimes hot job markets require stretching the envelope to meet employment needs. In some cases, that may include hiring candidates with past criminal records. After all – giving people a second chance is often commendable – and research shows that those with a criminal history are no more likely to engage in misconduct than anyone else. But what happens if a hire misbehaves causing another employee harm? That’s where the doctrine of negligent hiring comes into play. Under this doctrine, an employer is liable for harm its employees inflict on third parties when the employer was aware or should have been aware of the employee’s potential for harm, or if such a risk could have been discovered by reasonable inquiry. Are negligent hiring lawsuits common? No. But they are not uncommon either. How can an employer avoid problems? Most HR experts recommend what are called best practices for due diligence. Those best practices can be found in a document the Lawyers” Committee for Civil Rights Under Law published in 2013 entitled the Best Practice Standards: The Proper Use of Criminal Records in Hiring. The standards described in this document are grounded in the Equal Employment Opportunity Commission’s (EEOC’s) 2012 Enforcement Guidance on the Use of Arrest and Conviction Records in Employment Decisions under Title VII of the Civil Rights Act of 1964 and are intended to reduce the risks of negligent hiring claims. They are also designed to help prevent employment discrimination and inappropriate background review procedures. Employers should not ask about criminal records on application forms. In Connecticut, asking this question is a violation of state law. Employers should only consider convictions and pending prosecutions, and only those that are pertinent to the job in question and current enough to suggest a risk. Employers should give applicants an opportunity to challenge any adverse background report while also considering whether a candidate in question has undergone meaningful rehabilitation. Finally, whether the crime is at all relevant to the job in consideration should be a factor for employers. If you’re an employer and have questions about negligent hiring or any labor and employment law matter, consider calling on the attorneys at Kainen, Escalera & McHale in Connecticut. We do one thing and one thing only – we are an employer defense law firm – in fact, we are one of the largest employer defense law firms in the region. What’s more, each of our attorneys has over 20 years of experience in employment law and labor law matters and can provide your business with comprehensive legal counsel ranging from assistance with necessary preventive measures to trial advocacy. Please contact us if we can help you.